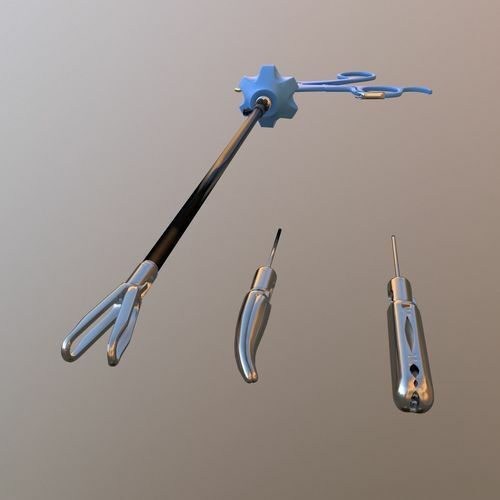 Laparoscopic tool 3D Model optimized for AR/VR applications and game engines. Comes together with 3 different thimbles. So you can switch between them. Uses baked normal maps and PBR textures (metal/rough). Hi stavt. Could you please provide more details about your issue? All the model files were packed in corresponding .7z archives. Were you having troubles opening this type of archive? If yes, I've updated the files with simple .zip in this is the case (re-download the model files from CGtrader). If not, please describe what program you were using to open 3D model files so we could help you. Thanks.